…caved in and removed the evil banana from the back of my fridge. 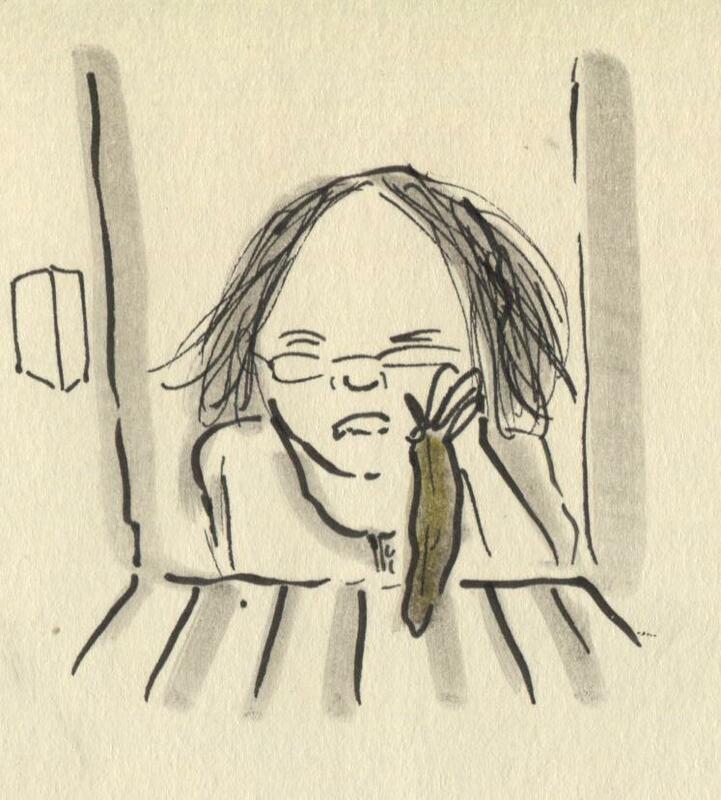 Posted on November 28, 2013, in Uncategorized and tagged bananas, Doodlemum, Drawing, Family, Humour, Illustration, Life, Pen and Ink, Sketchbook. Bookmark the permalink. 12 Comments. The loathsome job, but it’s nearly done. Then reward the fairy with chocolate. So… no Chicken Maryland then? Nope, no good is it? Bananas are never, ever evil, they are wondrous items! That’s the time to bung them in the freezer, in their skins ( in a bag if skins have burst), and when you fancy a banana cake or smoothie, they take five minutes to defrost before being delicious again. Love your sketch, Angie! I’m writing a blog article about a fridge fairy and would love to include it. May I? Of course I’ll link to this original post and caption with credits to you. Of course, no problem at all. Thanks for asking! This is so funny! 🙂 I love the doodle! Thanks a lot for sharing!